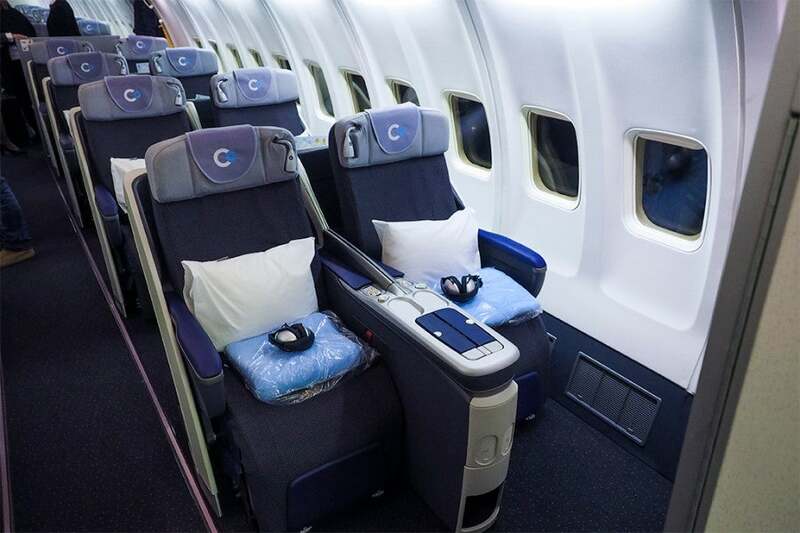 La Compagnie, the all-business-class airline that offers angle-flat seats on flights between Paris (CDG) and Newark (EWR), is opting to go fully lie-flat with its new A321neo jets. On Thursday, the French carrier announced that it placed an order for two A321neo aircraft, which it expects to take delivery of in 2019. Currently, La Compagnie’s fleet consists of two retrofitted Boeing 757-200s with 74 seats. The Paris-based airline, now three years old, did not say whether the A321s will be in addition to, or taking the place of, the 757s. The airline said in a tweet that it’s still deciding on the manufacturer for the new seats. It also said that although it doesn’t have anything planned at this time, it’s evaluating its options for opening new routes. In December 2016, La Compagnie announced that it was merging with low-cost and all-economy-class carrier XL Airways. At the time of the merger, there was speculation about the financial future of La Compagnie, as the all-business-class model hadn’t worked in the past and the carrier appeared to be losing profits. For example, it suspended its Newark (EWR) to London Luton Airport (LTN) service in September 2016 with little notice. La Compagnie is known for offering competitive fares on its business-class product across the Atlantic. With this announcement, the carrier said it’ll continue to offer the “most attractive fares on the market” with its new A321neos and lie-flat seats. La Compagnie’s cabin on its current 757-200s. TPG flew with La Compagnie in 2015 and found it to be a perfectly comfortable product. One of his only complaints — aside from the slow service — was the fact that the seats were angle-flat and not lie-flat. By adding these A321neo aircraft to its fleet with lie-flat seats, La Compagnie is improving its product offering for the future.